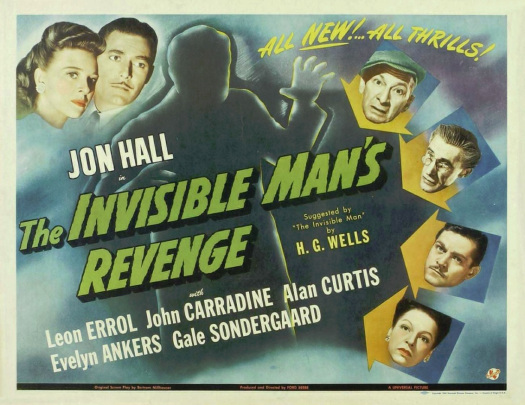 Jon Hall is back as The Invisible Man, but not the same one he played in INVISIBLE AGENT . 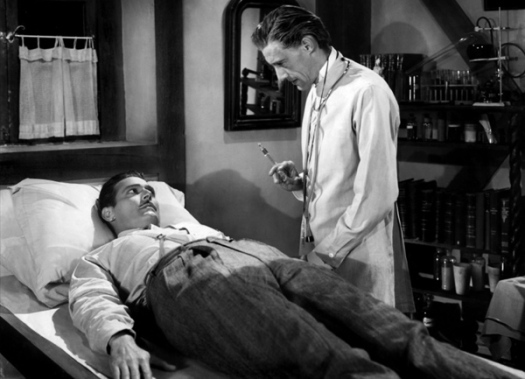 Like all the Invisible Man movies, THE INVISIBLE MAN’S REVENGE features a new protagonist, as Hall plays Robert Griffin, an escaped mental hospital patient who comes to London seeking his share of a diamond mine after being left for dead in the African jungle by partners Sir Jasper and Irene Herrick. 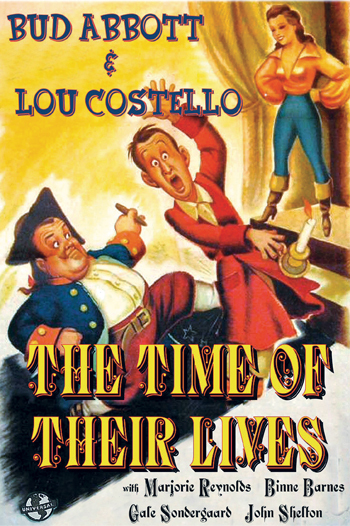 Griffin has returned to get what’s coming to him, and he does… Irene dopes him, and the couple throw the rascal out. Disoriented, Griffin stumbles into a nearby river, where he’s saved from drowning by shady Cockney Herbert Higgins. After watching Break-Up Nightmare, I watched one more film that was sitting on my DVR. That film was 1940’s The Letter. I had recorded it off of TCM and, up until last night, I had never seen it before. I’m happy to say that I’ve seen it now because it’s a great movie, featuring a fascinating mystery, feverish atmosphere, excellent supporting performances, and a ferociously brilliant performance from the great Bette Davis. Filmed in a dream-like noir style by William Wyler, The Letter opens on a rubber plantation in Malaysia. It’s night and the camera pans over the native workers all trying to sleep through the hot night. Eventually, the camera reaches the big house, where the plantation’s wealthy and, of course, white manager lives. (The contrast between the wealthy Europeans interlopers and the natives who work for them is a reoccurring theme throughout The Letter.) A gunshot rings out. A man stumbles out of the house. Following after him is Leslie Crosbie (Bette Davis). She is carrying a gun and, as we watch, she shoots the man a few more times. She shoots him until she’s sure that he’s dead. Leslie is the wife of Robert Crosbie (Herbert Marshall, who also played Davis’s husband in The Little Foxes) and the man that she just killed is Geoff Hammond, a respected member of Malaysia’s European community. When the police arrive, Leslie explains that Hammond “tried to make love to me” and that she was forced to kill him in self-defense. Leslie is arrested for the crime and will have to face trial but everyone knows that she will be acquitted. After all, Leslie and her husband are members are well-connected members of the upper, European class. However, Leslie’s lawyer, Herbert Joyce (James Stephenson), has doubts about Leslie’s story. He points out that she sounds just a little too rehearsed. His suspicions are confirmed when his clerk, Ong Chi Seng (Sen Yung), tells him about the existence of a letter that Leslie wrote on the day that Hammond was killed. In the letter, Leslie orders Hammond to come see her and threatens to reveal the details of their relationship if he doesn’t. Ong explains that he only has a copy of the letter. The original is in the hands of Hammond’s widow (Gale Sondergaard) and she’s willing to sell the letter for a substantial price. Not surprisingly The Letter is dominated by Bette Davis but, for me, the most memorable character is the outwardly obsequies but inwardly calculating Ong Chi Seng. Sen Yung plays him with such a polite manner and a gentle voice that it’s actually incredibly shocking when he reveals his true nature. And yet, even after he’s been exposed as a potential blackmailer, his manner never changes. Meanwhile, Gale Sondergaard only appears in a handful of scenes but she steals every one of them with her steely glare. In order to get the letter away from Ong and Mrs. Hammond, Leslie and Joyce have to convince Robert to give them the money without allowing him to learn the letter’s content. But, what neither one of them realizes, is that Mrs. Hammond has plans that go beyond mere blackmail. 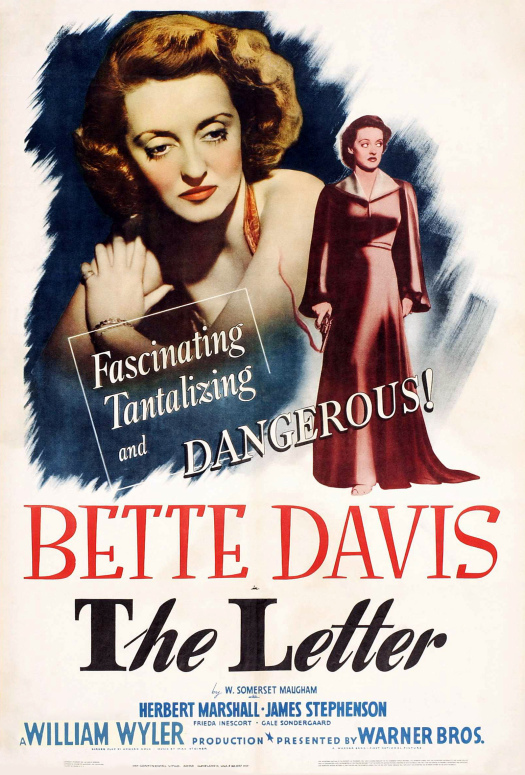 The Letter is an atmospheric melodrama that plays out almost like a fever dream and it also features one of Davis’s best performances. It was nominated for best picture but it lost to another atmospheric melodrama, Alfred Hitchcock’s Rebecca. Late last night, I continued to clean out my DVR by watching the 1936 film, Anthony Adverse. I recorded Anthony Adverse off of TCM, where it was being shown as a part of that channel’s 31 Days of Oscars. 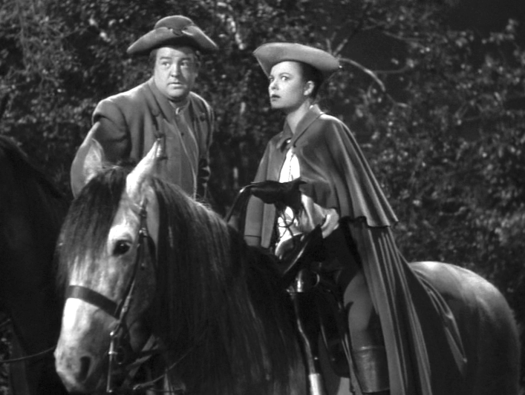 Anthony Adverse was aired because it was nominated for Best Picture of 1936. That’s significant because, if not for that nomination, I doubt that anyone would ever have a reason to watch Anthony Adverse. It’s certainly one of the more obscure best picture nominees. Despite a prestigious cast and being directed by the respectable Mervyn LeRoy, Anthony Adverse only has a handful of reviews over at the imdb. And most of those reviews were written by Oscar fanatics like me. Bonnyfeather raises Anthony as his own son. Anthony grows up to be Frederic March and ends up falling in love with and marrying the beautiful Angela (Olivia De Havilland). However, Anthony is suddenly called away on business to Havana, Cuba. He doesn’t even have a chance to tell Angela that he’s leaving. He does leave her a note but it blows away. Assuming that she’s been abandoned, Angela goes to France, becomes an opera singer, and is soon the mistress of Napoleon. Meanwhile, in Cuba, Anthony becomes convinced that Angela has intentionally abandoned him. Consumed by grief, he ends up running a slave trading post in Africa. He takes one of the slaves, Neleta (Steffi Duna), as his mistress and becomes known for his cruelty. However, he eventually meets Brother Francois (Pedro de Cordoba) and starts to reconsider his ways. Meanwhile, back in Europe, Bonnyfeather is dying and his housekeeper, Faith (Gale Sondergaard, who won the first ever Oscar awarded for Best Supporting Actress for her performance here), plots to claim his fortune. After I watched the movie but before I started this review, I did some research and I discovered that Anthony Adverse was based on a 1,222-page best seller that came out in 1933. I’m going to guess that the film’s long and ponderous story may have worked better on the page than it does on the screen. As a film, Anthony Adverse clocks in at 141 minute and it feels even longer. Despite the impressive cast, the film just never clicks. It’s never that interesting. At the same time, I can understand why it was nominated for best picture. It’s a big movie, full of characters and extravagant sets and ornate costumes. You can tell it was an expensive movie to make and there’s enough philosophical dialogue that you can pretend there’s something going on underneath the surface. In the 1936, Anthony Adverse may have been quite impressive but seen today, it’s forgettable. Anthony Adverse lost best picture to another overproduced extravaganza, The Great Ziegfield. Personally, I would have given the award to the unnominated My Man Godfrey.